It starts innocently enough in the town square of Possum, Virginia. But it becomes a spectacular national scandal: Can a federal judge outlaw Christmas? Thomas Hammond and his wife play Joseph and Mary in the annual live nativity in their hometown. But a federal judge rules the display unconstitutional. Thomas refuses to abide by the court order -- and ends up in jail. From the courtrooms of Virginia to the talk shows of New York City, the battle escalates into a national media spectacle. Caught in the middle is law student Jasmine Woodfaulk, assigned to represent Thomas as part of her school's legal aid clinic. Only a surprising series of events can reconcile a stubborn father, a crusading law student, and a recalcitrant judge. 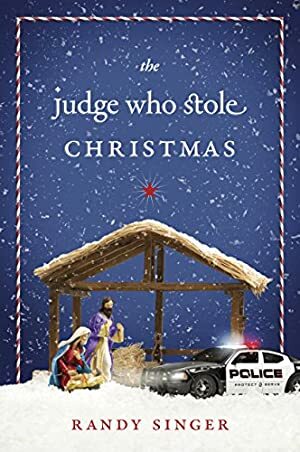 The Judge Who Stole Christmas is a charming, warm, and thought-provoking Christmas tale that explores in a fresh way the real reason for the season. We started tracking this book on December 5, 2011. This book was $5.59 when we started tracking it. The price of this book has changed 38 times in the past 2,695 days. The current price of this book is $3.03 last checked 9 hours ago. The lowest price to date was $0.99 last reached on December 1, 2017. This book has been $0.99 3 times since we started tracking it. The highest price to date was $7.99 last reached on November 22, 2014. This book has been $7.99 9 times since we started tracking it. We last verified the price of this book about 9 hours ago. At that time, the price was $3.03. This price is subject to change. The price displayed on the Amazon.com website at the time of purchase is the price you will pay for this book. Please confirm the price before making any purchases.